I can't believe it's been nearly a year since Kimberley was born! It's gone so fast and she's changed so much! 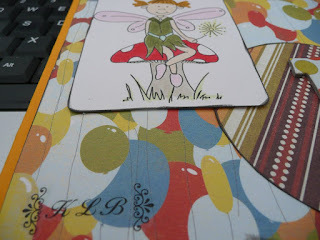 I made her a first birthday card last weekend and used some rub on initials I was sent in the stash swap. I wanted to personalise it a bit. 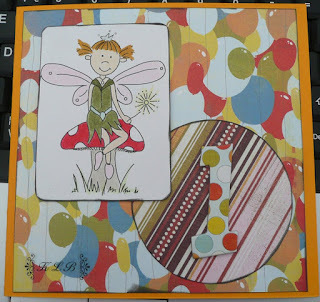 The image is from Pollycraft and the papers and number are from Basic Grey.